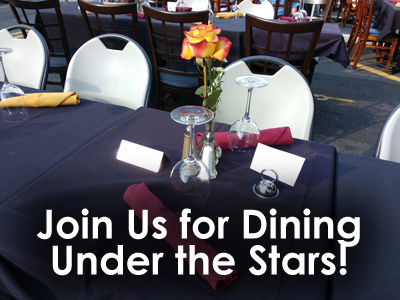 We are very excited to announce Dinner Under the Stars will return on May 29th and be held every Wednesday night through September 18th. Reservations are required at Luna Blu we offer 2 specific seating times the first is between 5:30 and 6 p.m. and the second is at 8:30 PM. We do ask all diners from the first seating are finished by 8pm. We will have Community seating during the event. We are also the only restaurant on the street that does offer a full dinner menu so we appreciate your patience as we more than triple the size of our regular dining. 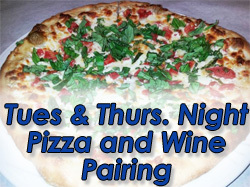 We will honor our half-price bottle of wine special during the event and our 4 course dinner special. She will get back to you with availability and confirmation, we will not take any reservations via OpenTable or our direct phone line. Thank you for your continued support of the local businesses on West Street! 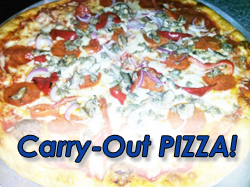 Dinner: Every day, starting at 5 p.m.